It is very unusual for us to feature two Naturals back to back but since the last one was so well-received, we have decided to roll out the next natural (almost) coffee, in time for the festive season! Named after the famous Pyrenees mountain range in the borders of France/Spain, Los Pirineos is nestled on the top of the Tecapa volcano, about 3 hours drive southeast of the capital of El Salvador. This is our first year working with Gilberto after visiting him and the farm back in February this year. 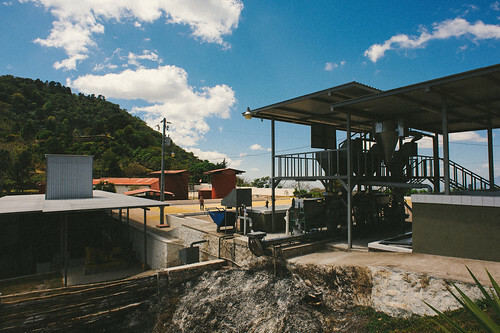 He built his new wet mill at the top of the mountain beside his existing dry mill, and since building wet mills seem to be Gilberto’s other forte as he has consulted, designed and built quite a number of mills for other farms in the country. His very own mill is built to the highest standards using easy to clean tiles and stainless steel equipment only. It is definitely one of the cleanest mill we have ever visited and Gilberto takes great pride in his processing skills. 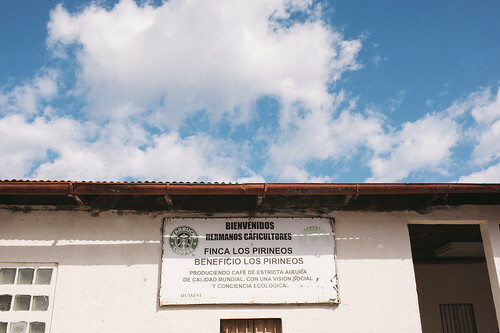 The water used during processing of the coffee is recycled and the water comes from a tank which collects rainwater. All the pulp and mucilage is turned in to fertilizer using Californian red worms that makes it into nutrient-rich compost. The compost is then used for seedlings as well as to replenish nutrients to the coffee trees. This heirloom Bourbon varietal was brought to the farm back in 1890 from Guatemala, which was then used to develop the newer Bourbon varietal, called Tekisik that is widely grown in the country now. Our friends over at Nordic Approach has attributed that the Bourbon Elite seems to give a sweeter and more intense fruit tones in the cup as compared to the Tekisik varietal. Gilberto does the drying of the naturals on African raised beds for 30-40 days as well as on patios until the moisture level falls to the required level. The raised bed drying helps to prolong the shelf life of the green coffees and also present a cleaner cup profile on the table. This lot that we bought is a special “blend” that Gilberto put together: 70% made up of natural and the remaining 30% of pulped natural and washed. Interestingly, this really toned down the amount of pulpy and fermenty taste that some naturally processed coffee might exhibit on the cupping table, presenting a very clean but yet sweet coffee. We are probably not the biggest fans of naturals, but this cup proved to us that a well-processed natural can be just as clean as a washed coffee. On the nose, we get toffee and dried fruit aroma. 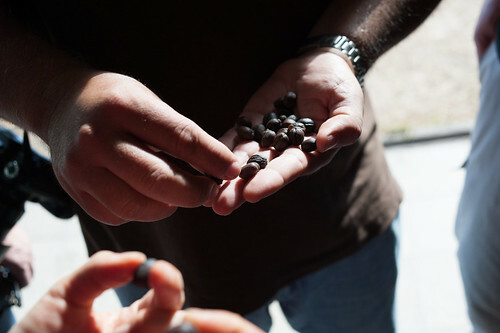 Raisins, plums and prunes are some of the fruits that we taste on top of the big brown sugar sweetness. As the cup cools, the creamy texture really shines together with the chocolate caramel and almond milk finish. Available on web and in store. 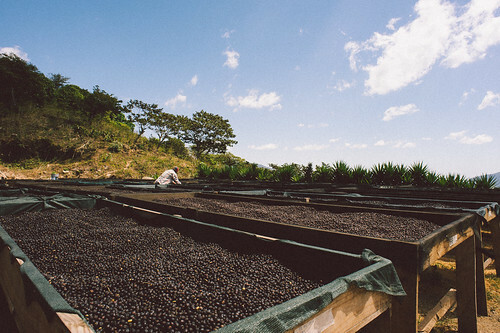 Processing: 70% natural with the rest made up of pulped natural and washed coffees. The natural component is a combination of those dried on African raised beds and on patios.